Investors will now want to know what are the implications for business and investment, with the Republican sweep of both houses of Congress. This outcome was predicted the last time, by this writer on August 25th. In the House of Representatives, the Republicans now have the largest majority since the 1920’s, with the likelihood of 249 sets out of 435 total. In addition to recapturing control of the Senate, the Republicans now control 70% of the state legislatures and won 26 out of the 36 governorship’s, that were up for election. The Republican Party now controls 29 state legislatures holding both chambers firmly in their grasp. This was two more than before the election, and now the most since 1920. Of the remaining state legislatures 10 are split between the two parties, with Democrats now only controlling 11. The GOP juggernaut even seized Democratic governor strongholds in the states of Illinois, Massachusetts and Maryland. The total gain is four with Republicans possessing 33 out of the total 50. The rising Republican wave shows a definite rejection of the current Democratic Party policies and initiatives as promulgated by the elected officials and bureaucrats in Washington, the nations capital. Now that the new Congress will be solidly Republican in January 2015, what can the world of investment and business expect from this new governance? Much depends on the next 60 days. If the American President Obama begins to try to have a flurry of legislation and appointments passed in the waning days of the lame duck 113th Congress, with the Democrats still in control of the Senate, it will surely heighten tensions between the President and the new incoming majority. If the President decides to advance his agenda by executive authority this will most likely lead to a poisoning of future relations with the 114th Congress. This will be unfortunate but predictable. 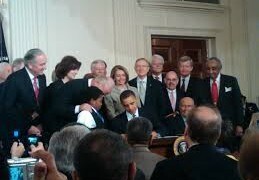 President Obama had a mandate for economic reform and restructuring when his Presidency began in 2009. At that time he had super majorities in both Houses of Congress. Yet, he concentrated his energies on creating the unpopular and partisan healthcare debacle. 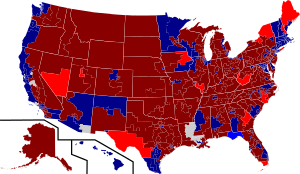 The result was the Republicans were able to recapture the House of Representatives, in the election of 2010. Once again, the public has demonstrated through polls and the election of 2014, that they would like their national leaders focus on re-energizing the economy. However, the President would rather focus on the issue of illegal immigration. It is an important issue to be sure,but not the most important issue to voters. The American President says he is not only listening to the 1/3 of the electorate that actually voted in the 2014 election but to the 2/3 of the population that did not vote. How he can determine what they want, when these individuals don’t vote is simply nonsensical. Worse yet, he continues to insist that the problem is in the messaging, not the policies put forth by his Administration. The actual voters say different. Mr. Obama stated before the election, that all of his policies were on the ballot. He went further, by stating that the Democrats running for office supported his policies, regardless of what they were saying. The election results speak for themselves. His initiatives were thoroughly rejected on election day, regardless how the media and the President would like to spin it. What can be achieved in the two years between now and the 2016 presidential elections? It will all come down to compromise between the President and the newly confident Republicans. Both sides will have to give something up. Otherwise the gridlock will continue. The only difference is that bills supported by the House of Representatives under control of the Republicans will no longer die in the formerly Democratic controlled Senate, but in the Oval Office with a Presidential veto. There is room for cooperation. The two main areas are in energy and taxes. Maybe some work can even be done in the regulatory sphere as well. The first item up for consideration is the Keystone XL Pipeline. This controversial project calls for transporting Canadian tar sands oil to United States refineries on the Gulf of Mexico. What opponents of this project refuse to recognize is that the oil is still being shipped to the said refineries, but by the more dangerous method of rail transport. The Republicans are in favor of this $5.3 billion USD (United States Dollar) project because it will provide jobs and help make North America more energy self sufficient. The 1,179 mile (1,897 kilometer) project has been under construction during the entire Presidency of Barack Obama. The Southern Link is already under construction from Oklahoma to the Gulf. The Northern Link has been held up by environmental studies, which have allowed the President the luxury of not having to make a decision. The Republican will likely have 54 Senate seats by January 2015. 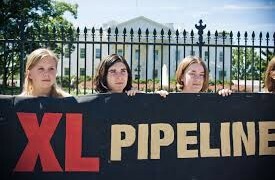 They will only need 6 additional votes to approve the Keystone XL Project. It is likely these extra votes will be found with Democratic Senators who favor the project, especially those who have an eye on the 2016 elections. Gaining 60 votes would prevent a filibuster. A need for 67 Senatorial votes to overcome a Presidential veto, will not be necessary in that President Obama is unlikely to veto the project. The State Department who has authority over the proposed pipeline (because it crosses international borders) has already reported last January that carbon emissions from the project will be minimal. The passing of the Keystone bill can provide the framework on further progress in the energy sector. Another sector will be coal industry. 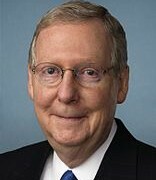 Mitch McConnell who will most likely be the new Senate Majority Leader, originates from Kentucky, a coal producing state. He will be most aggressive in promoting this energy sector. He might even go as far as cutting off new funding for the EPA (Environmental Protection Authority) if the so called war on coal by the Administration is not called off, or at least scaled back. New proposed EPA emission rules for carbon discharge from power plants, will make the further use of coal uneconomical. Energy development in natural gas and oil will find the regulatory environment more friendly as the new Republican Congress begins to further scrutinize the restrictive activities of the Obama Administration in further expansion. It is likely that the recent price reductions in fossil fuels, will have a greater impact on the US energy producing industry than more government regulations in 2015. The likelihood of tax reform has increased with the Republicans in charge of both Houses of Congress. The newly elected members will be pushing for a restructuring of taxes at the corporate and personal level. A tax reduction to recharge the economy might well be approved. This is especially the case, if the economy does not expand as rapidly as the Administration would like. A deal here might well be a cut in the corporate tax rate in exchange for the elimination of certain business subsidies and tax loopholes. The same could be achieved on personal income tax rates as well. 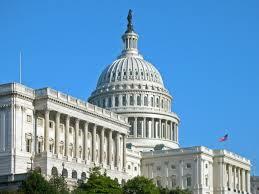 That the business world approves of the upcoming change in direction for the United States Congress cannot be argued. The American stock market is once again reaching all time highs. When the market swooned in the middle of October with the Dow dipping below 16,000 after reaching highs above 17,000, a number of investors panicked. This writer advised through our investment newsletter on October 17th that the market would soon recover and reach new highs. This continues to be the case following the Republican victory in the 2014 mid-term elections. However, increasing economic difficulties in Europe, Latin America, Asia and elsewhere will continue to hamper future growth in 2015. As the economic recovery in the United States that officially began in June 2009, meets the end of the normal business cycle, the increasing possibility of recession will haunt officials in Washington. 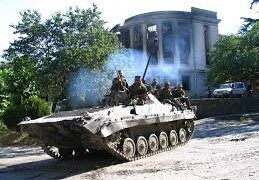 International events in East Asia, Eastern Europe (Ukraine) and especially the Middle East, are also taking their toll on potential economic growth and investment going forward. In the United States, the window for reform in regulations and taxes will be short-lived. As the 2016 elections approach, there will be less impetus for change and restructuring. The period of opportunity will last from 12 to 18 months, once the new Congress is installed. Major cuts in spending, dramatic changes in priorities and policies will most likely be on hold until January of 2017, when a new President is inaugurated. My guess at this point is that it will be a Republican. I do not have a company set up yet to do my trading with. Could you make some recommendations. I see companies like Scott trade and Ameri trade etc. Just getting started and need some direction. Kenny that is a very wide open question and it depends on a lot of things. Especially what you are trading. I dont know how to start it!.